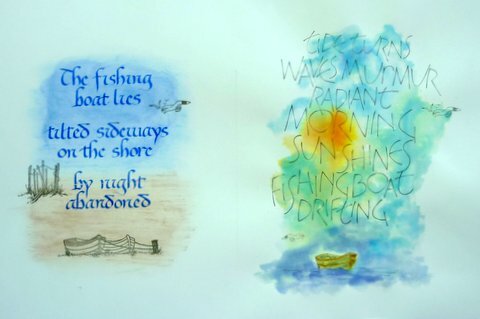 In connection with this The International Research Centre for Calligraphy at the University of Sunderland launched ‘Letters after Lindisfarne’. 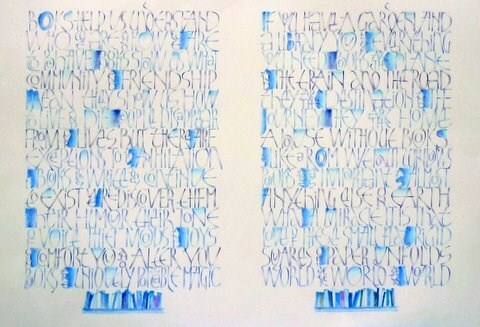 They invited members of regional calligraphy groups to contribute to a one-off book, not a stylistic or a textual replica but as a contemporary response to the Lindisfarne Gospels. 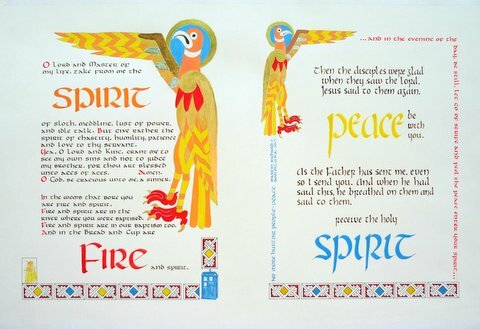 Each contribution is on a single sheet of paper, to be folded giving two adjacent pages of size 342x248mm, the metric equivalent of a Lindisfarne Gospels page. 1. Write out the biblical passage from which the word comes. 2. Choose a non-biblical piece of poetry or prose containing the word. 3. Write a factual text inspired by one aspect of a word, eg start, boat or mountain. 4. Create an abstract piece around a single word. 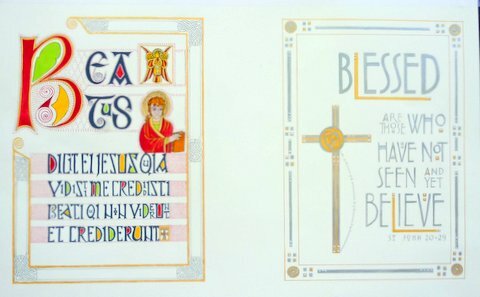 The contributed work was displayed in Durham while the Lindisfarne Gospels were being exhibited and the resultant bound volume(s) will be presented to the Cathedral Library.